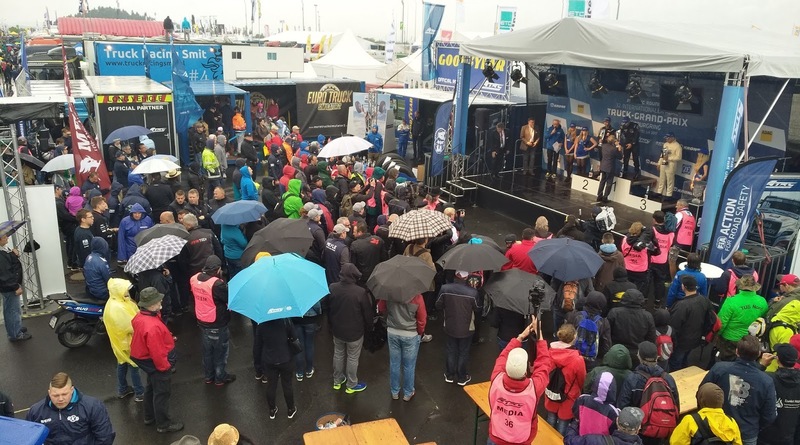 Those who've followed our social media channels during recent days know our team was participating at the FIA ETRC racing event at Nürburgring, Germany. If you've missed our posts, you can find them on dedicated media channels or you can browse and look at the photos we've taken here. Thanks to the organizers of this event, our booth was placed at the perfect position. We had notable placement directly at the left side of the main stage where the trophy ceremony was held. With our two brand new simulators, merchandise, promo or discount cards and smiles on our faces, members of our crew were entertaining the visitors for three days from early morning hours to late evenings. 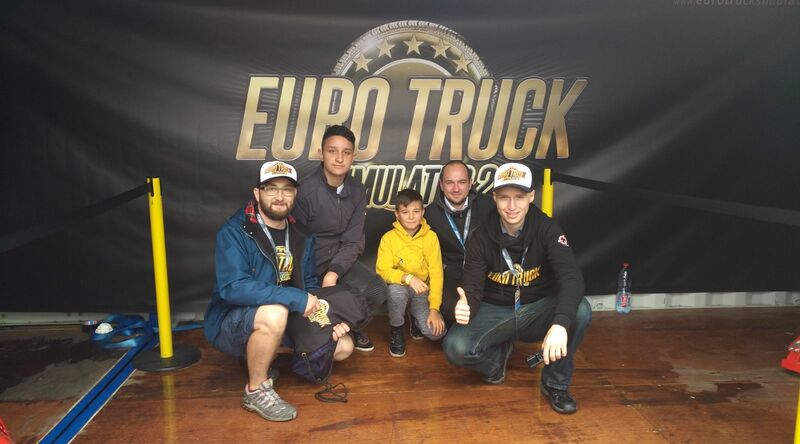 No matter the rainy weather, the numbers of fans who were interested in trying out Euro Truck Simulator 2 on our 4D motion seats were really high. And it was awesome! 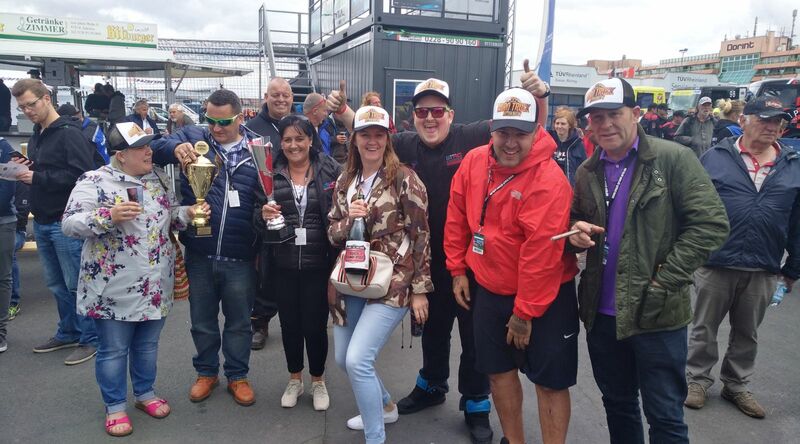 Except for all the great moments and chats with our fans, our colleagues were able to spend some time with ETRC racing drivers and their team members. We also met an amazing singer Jessica Lynn! We enjoyed every second there and we'd like to thank the organizers for this great experience. 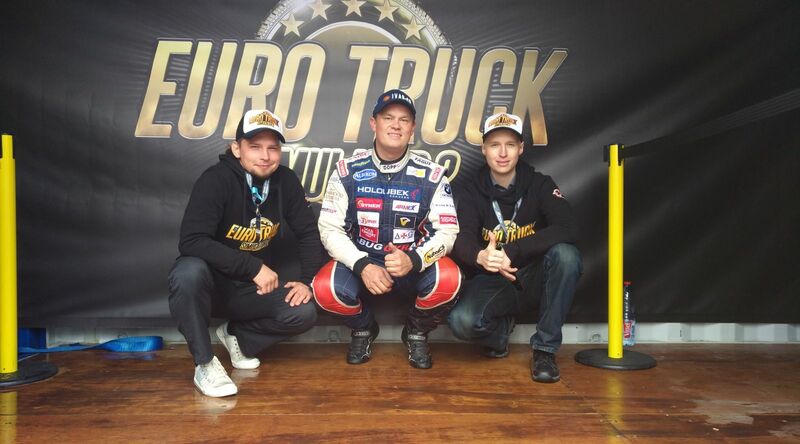 It was our first participation in a real truck race and we instantly felt in love with the audience for these events. We'd like to announce that our small team is getting ready for next round. This time it's going to be at Slovakiaring and it would be really cool to hang out with you there for a while. So if you're considering the visit of this upcoming event, or if you've already decided that you'll be there, come and visit us! We'll be there with our SCS On the Road Crew. We can't wait to meet, have a chat or take a photo with you. And if you can't make it but you'd like to stay in touch, you can follow SCS social media like Instagram and Twitter profiles. We'll be doing fresh news, posts, and tweets about what's going on there. Thank you all and see you at the Slovakiaring!